These magnets are very different in comparison with normal ferrite magnets . These little magnets are amazingly strong ! I was really surprised !! Like our other item we only chose the best material available. I selected these N45 magnets ,so they are easier to separate them from each other and they are more suitable for für magnetic locks (wooden cases etc. ), modelling or for magnetic therapy. 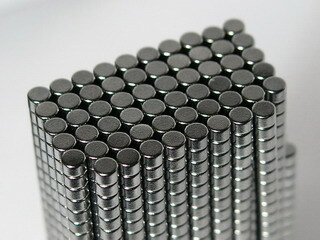 Unlike other magnets which are nickel coated they are chromium plated so people with nickel allergy can use them. You get 100 pcs. each purchase!